Roderigo, I’ve so been there. How’s a man to live his life in peace? I barely have time to blog. Now listen to me. Temptation is everywhere, and successful people don’t run from it—they’re just hard to tempt. Whereas you, Count Rodrigo Torriani (Rudolph Valentino), are easily tempted indeed. This is partly because you’re poor, and sexual conquest is a great way to buoy your ego before and after the creditors come knocking. But you also make excuses for yourself, justifying bad decisions by attributing them to bad genetics. 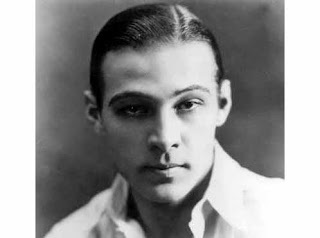 “I try to behave—but it doesn’t run in the family,” you tell your new best friend, the American antiques dealer Jack Dorning (Casson Ferguson). Then you trace your family’s two-timing back to a Renaissance-era ancestor with two babes hidden behind two different tapestries in the same room. Funny stuff, but terribly enabling. Not so funny is your assessment of women, whom you love not for their charms, you believe, but because they compel you to love them; to fixate upon them, as you say, like the helpless quadruped fixates on the hypnotic cobra before it strikes. You’re a philanderer, but it’s the ladies’ fault. Thank god for Cobra's comedy, which reduces you to a sweet goof your audience can swoon over without fearing your misogyny. But Rod, if you truly can’t help yourself, please seek new vistas while you still have a lira to your name. I watched, grinning, as you offered an expensive goblet to the father of one of your conquests; a greedy man who brought the poor girl straight to your decaying mansion in search of a pay-off. Retroactive prostitution, you might say. It pained you most to give away an object you truly valued—one you were skilled enough to appraise. No wonder Dorning offered you a job at his New York City auction house. Will things be any different in America? Yes and no. Your friendship with Dorning seems strong, maybe the first real friendship you’ve ever known. And it looks like you’ve fallen in true love with the office secretary, Mary Drake (Gertrude Olmstead). She thinks you’re a player, but you’re sincere this time; I know it. I’ve seen the type of girls you’re used to bedding, and they’re a lot sightlier than Mary Drake. Anyway, these thin-plot-things don’t concern me much. They’d barely have to concern me to follow your adventures in Cobra. 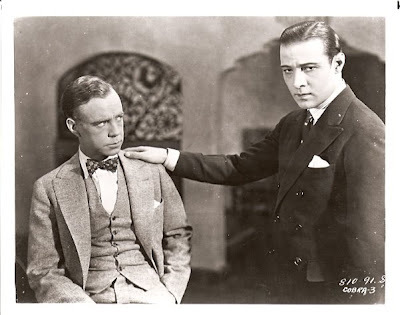 Freed of a subplot or any real storyline surprises, I can mentally multi-task; wondering, for example, at director Joseph Henabery’s strange, and by 1925, slightly retrograde technique of juxtaposing your close-ups with wideshots, the kind rarely seen after the mid-teens. They’re more than establishing shots, though they don’t linger too long. Was Henabery reacting, even rebelling, to the no-doubt-mandated load of close-ups a Valentino flick required? Did he want to swallow you and your fellow actors in the proscenium’s humbling frame? Maybe I’m just agitated. That happens to me when I see Nita Naldi’s name on the title card, then spend half the film waiting for her to show up. Nita’s her own kind of tension. I just know she’ll turn your light comedy sour, Rod. If it’s a cobra you’re worried about, Nita’s it. And there now: her smouldery alter-ego, Elise van Zile (sounds like ‘vile’) has spotted you. Don’t ask me why she chooses to marry Dorning when she wants to sleep with you, Rod. You’re better looking, and he’s not that rich. But you respect your friend’s marriage, so good on you. Try to forget that Elsie’d be good on you too. Elsie, Elsie… she takes our little frothy romp in a rather serious direction, doesn’t she? The last quarter of Cobra is a far different, far moodier piece of business than the first three. Heavy, even, though no deeper. Its purpose is to prove that you’ve Learned Your Lesson, Rod. Perhaps you’ve even Grown Up. And I believe that, having now made painful sacrifices for the sake of someone else’s happiness, you will return to the Old Country a triumphant and deeply moral man. I know you’ll live up to it, Rod. It’s precisely what we paid to see. 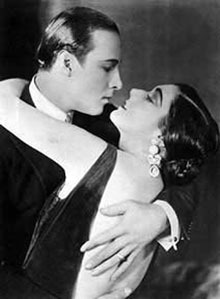 **For a little more quiet time with Valentino, check out my earlier posts on Beyond the Rocks (1922) and The Son of the Sheik (1926). **Nita Naldi played another venomous femme in Cecil B. De Mille’s silent version of The Ten Commandments (1923). Cobra is available through DVD distributor Image Entertainment. 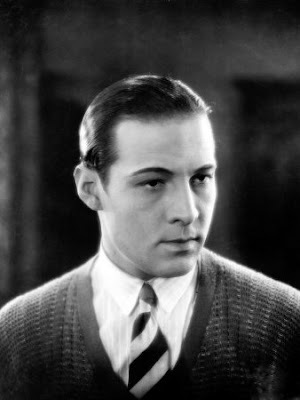 The disc includes filmographies of Valentino, Naldi and Henabery, but no other extras. I love the conversation with the character. I must see this film! I might know where to find it. Your numbers were legion, once.